Immediate effect of sleep deprivation is undoubtedly sleepiness. We may invariably experience this as general fatigue, lack of motivation, nodding off, lack of focus and drowsiness. Any period of continual wakefulness beyond the normal 16 hours or so will typically lead to these changes. Working memory, concentration, mathematical capacity and logical reasoning are all aspects of cognitive function that get compromised due to sleep deprivation. As the prevalence of inadequate sleep grows and the demands of workplace change, it becomes increasingly vital that we identify and take action to mitigate the impact that lack of sleep has on our safety, health and well-being. 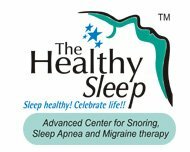 Our bodies require sleep in order to maintain proper function and health. In fact, we are designed to sleep each night in order to restore our minds and bodies. Two interacting systems, namely the internal biological clock and the sleep-wake homeostat greatly determine the timing of our transitions from wakefulness to sleep and vice versa. These two factors also provide answers as to why under normal conditions, we stay awake during the day and sleep during night. In the early 1920s, scientists believed sleep to be an inactive brain state. It was generally accepted that during night, as sensory inputs from the environment lowered, brain function also reduced. In other words, scientists believed that the brain shut down when asleep, only to restart again during morning. The two different types of sleep include rapid-eye-movement (REM) sleep and non-rapid-eye-movement (NREM) sleep. On an EEG, REM sleep (also called active sleep) can be detected by its characteristic low-amplitude, high-frequency waves and alpha rhythm and eye movements. Many sleep specialists think that these eye movements are related to dreams. Normally, when people are woken up from REM sleep, they confirm that they had been dreaming, often extremely vivid and bizarre dreams. In contrast, people confirm dreaming less frequently when awakened from NREM sleep. Interestingly, during REM sleep, there is a temporary paralysis of muscles in the arms and legs. This is thought to be a neurological barrier that prevents us from “acting out” our dreams. NREM sleep can be broken down into three different stages: N1, N2, and N3. During the progression from stage N1 to N3, brain waves become gradually slower and more synchronized, while the eyes remain still. However during stage N3 which is the deepest stage of NREM, EEGs show high-amplitude, low-frequency waves and spindles. This stage is referred to as “slow-wave” or “deep” sleep.